When I happened to serendipitously stumble across Kogeto‘s website I got that kind of giddy excitement a little kid gets at Christmas. I was amazed. 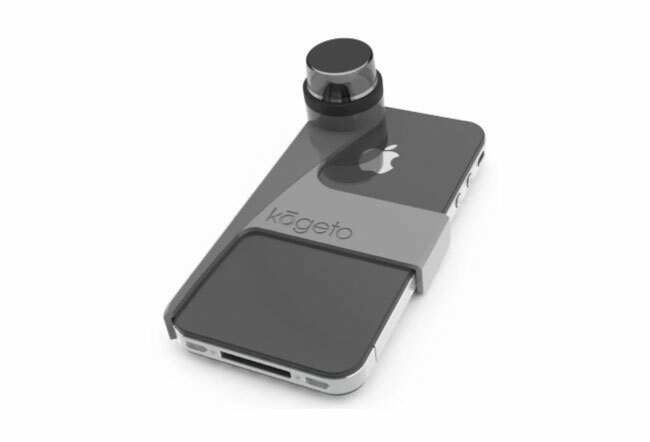 This tiny little camera could clip onto my iPhone and film everything, all the way around me…all 360° of it. It would be like having eyes in the back of your head! So you can imagine my delight when my Dot finally arrived in the post. After marveling at the awesome design (and being particularly delighted that it came with both iPhone 4 & 5 attachments), I ran straight out to find internet so I could download the (FREE) app needed to make the camera work correctly. 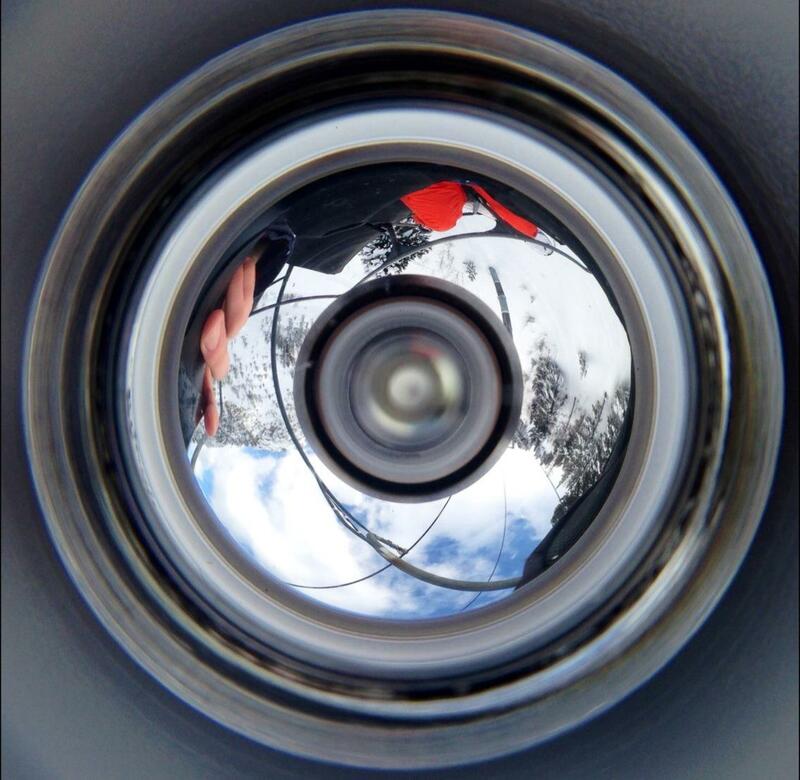 Then it was time to hit the slopes to try it out and see what this new-fangled piece of technology could really do! And while it does have its limitations (more on that later), the Dot is really pretty cool. The initial instructions that come in the box are easy to understand, so you can get started straight away, and it really couldn’t be more simple to use…just snap the Dot onto the iPhone, open the Looker app, calibrate the camera, press record and marvel at the results! While I do think this little camera is awesome, and I can’t think of a better way to film 360° around, I have to say it didnt quite do what I expected. I think maybe in my head I was imagining the recorded video to look like a circle and you’d be able to view everything all at once, when in reality what happens is that you get a video that you can scroll through on your touch screen iPhone or iPad, or by using the mouse on a computer. To see what I mean, have a look at one of the videos I recorded while out on the mountain the other day on my own profile on Kogeto’s site, or even browse around and take a peek at all the other videos uploaded by people from all around the world. This is one major bonus of the Kogeto Looker app – the sharing capabilities. You can share your recorded videos straight to your own user area, as well as being able to upload a link to your videos onto both Facebook and Twitter, always a useful tool! So even though there are some improvements I would like to see made to this awesome little camera (sometimes it can be a little blurry & out of focus, and I would also love to be able to use the videos I’ve recorded and edit them into a larger video i.e. in iMovie), it is still pretty awesome that I can film everything that’s going on around me, just from one tiny little camera lens! Props to you Kogeto, I look forward to what comes next. Now, I’m off to film myself doing silly things in the snow. Yes, all 360° of it!